Seriously, use your head and read this. "Those people are crazy!" the bus driver exclaimed. I was en route to a doctor appointment in New York City, and aÂ helmet-less rider on a Citi Bike had just darted in front of us, narrowly avoiding getting hit. "I rarely see those Citi Bike riders wearing helmets," I said. "I don't know why," the driver said. "It's dangerous out there." I regularly wonder whether the un-helmeted people who use Citi Bikesâthe New York bike sharing programâhave a death wish. MoreÂ likely, they're probably thinking they "only" have a few blocks to go and they'll be fine. Yet in the course of those few blocks,Â they'll likely encounter buses, trucks,Â swerving taxis, and overly aggressive drivers. A fewÂ sobering stats: The number of bicyclists killedÂ in motor vehicle accidents increased by 16% between 2010 and 2012, per theÂ most recent Governors Highway Safety Association (GHSA) report on bicyclist fatalities. Experts note that the rise correlates with an increase in bicycling commuters. In addition,Â 48,000 "pedalcyclists" (including bicyclists, tricyclists, and unicyclists) were injured in motor vehicle traffic accidents in 2013, per the U.S. Department of Transportation. Currently, 29 states have noÂ bicycle helmet laws, per the GHSAÂ (21 have laws for younger bicyclists, generally below 16). ButÂ if you're bikingâwhether in the obstacle-course streetsÂ of a city or the relatively calm ones of a suburbâyou shouldn't need a law to protect your life. In other words, use your head and maybe it won't get smashed up. If you know that you're going to be jumping on a bikeÂ one or more timesÂ on a work day, take aÂ helmet. If you're doing an impromptu ride, consider a good oldÂ taxi or public transportation. 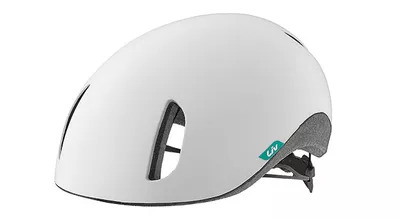 If you're so obsessed with riding your bike to work that you can't remember the last time you bought a metro card, the Liv Civita Helmet ($50; giant-bicycles.com) is for you. The sleek, modernistic design looks super chic, and the inside webbing creates a secure fit for when you're cruising down the bike lane. 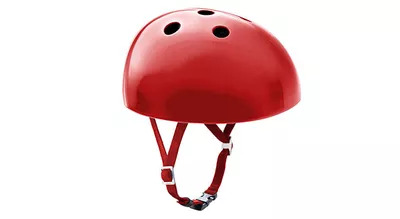 Matching your helmet to your outfit is a breeze with the Yakkay Helmet ($75; yakkay.com). The rounded, brimless shape is sleek enoughÂ on its own, but you can also top it with one of their eight cool hat covers. When you're biking to meet friends for dinner, or heading to work, the last thing you want is to show up dripping with sweat. 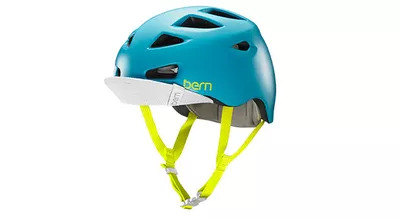 Enter the Bern Melrose Helmet ($90; zappos.com). Super lightweight, and covered with slots for ventilation, you'll feel nice and breezy as you go. Okay, you made it to your destination and locked up your bike, but you're left carrying aroundÂ a clunky helmet. Now what? 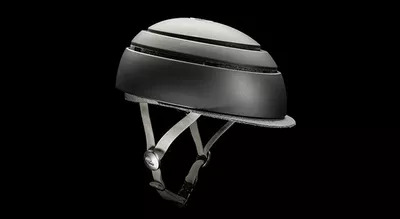 EnterÂ the awesome, collapsable Closca Fuga Helmet ($100; closca.com),Â which can shrink to over 50% it's full size. RELATED:Â Pippa Middleton is Biking HOW Many Miles Per Day? 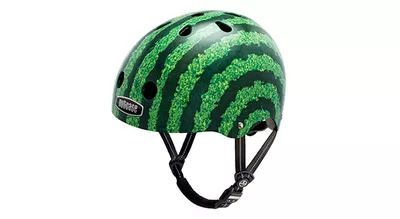 Stand out in style with theÂ hilariously fun Nutcase Street Sport Helmet ($64; amazon.com), like this fruity one. They're built tough, adjust for a perfect fit, and they even have a magnetic buckle closure that won't clip your skin. It's the best way to protect your melon.